SAN LUIS OBISPO, Calif. (March 12, 2019)—Lifewater International will expand programs to Tanzania in the year 2020 for the purpose of providing safe water sources for families living in extreme poverty. Beginning in 2020, Lifewater is scheduled to have a fully operational field office in the Shinyanga District of Tanzania. Local staff equipped with vehicles to travel to remote villages and mobile phones to record real-time data will execute Lifewater’s Vision of a Healthy Village approach to ending the global water and sanitation crisis. In November, Lifewater President/CEO Justin Narducci visited villages in the Shinyanga district while scouting for program areas. 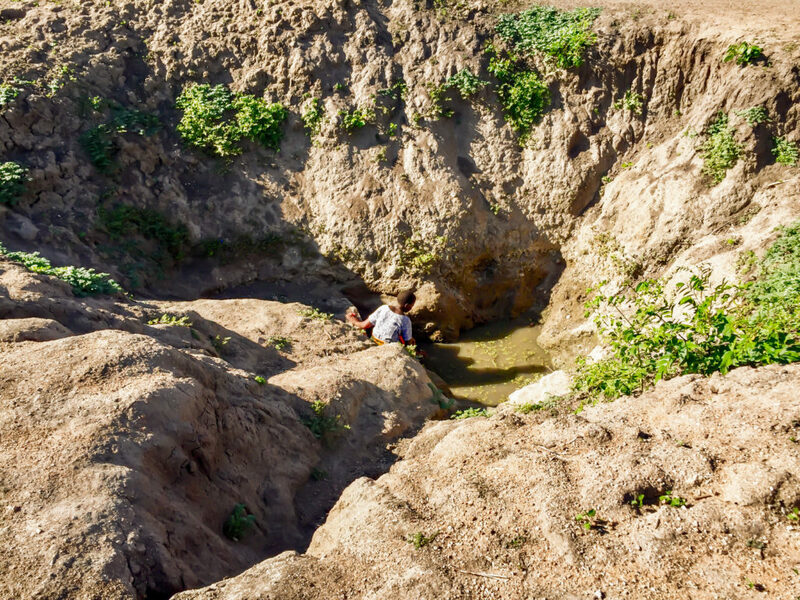 “I felt affirmed that this is ‘the place’ and very heartbroken at the same time; water is scarce and communities are eager to work together,” he said. A young Tanzanian woman gathers water from a swamp in Shinyanga. Expansion into Tanzania is part of Lifewater International’s 2020 Strategic Plan for programmatic enhancements that serve more people with a greater quality of service.